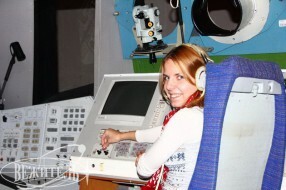 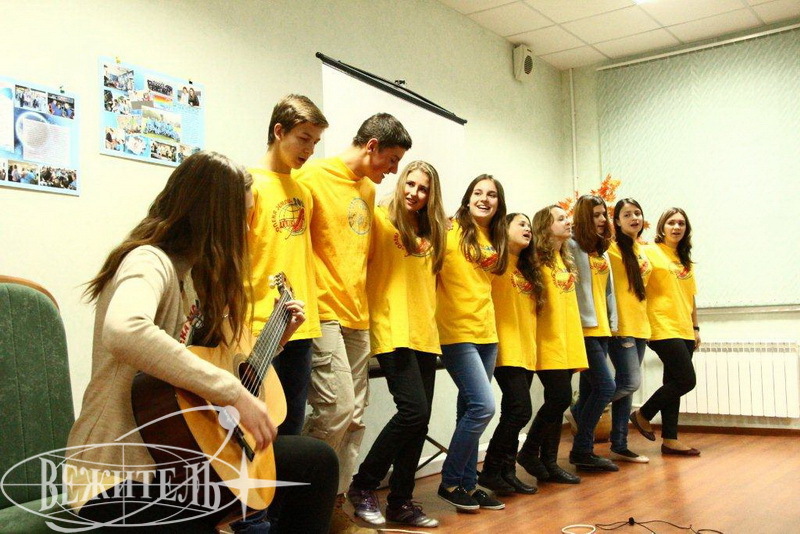 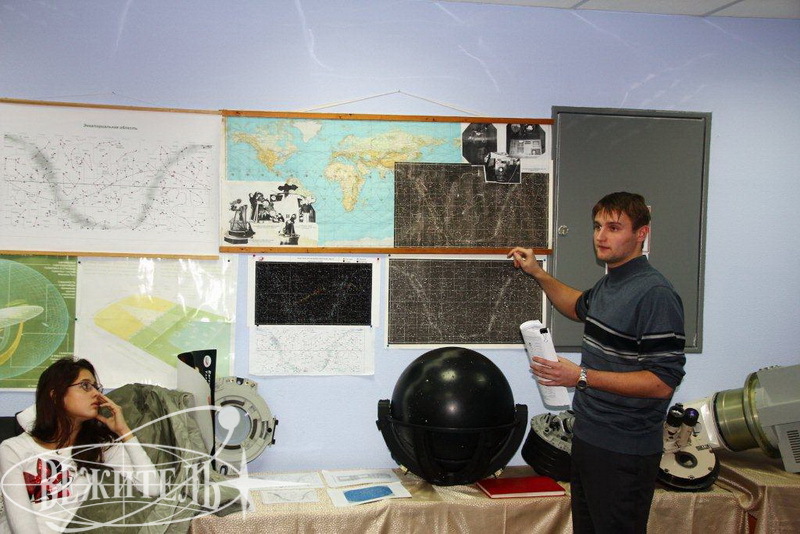 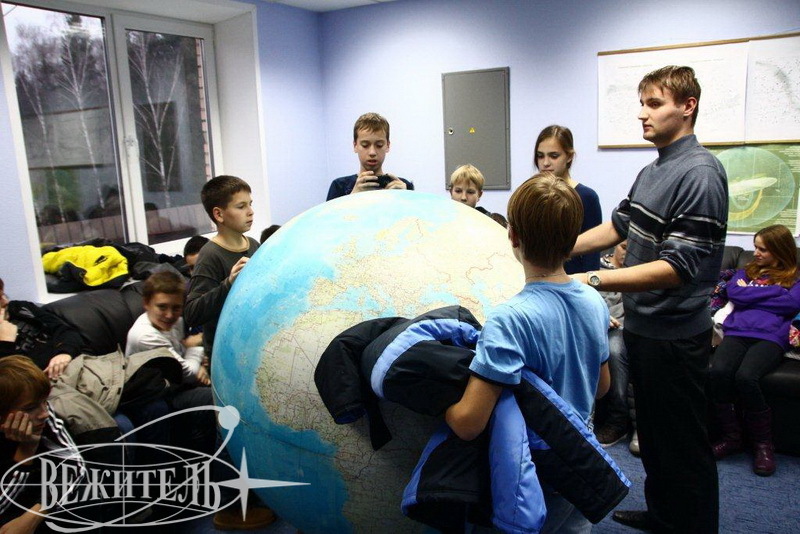 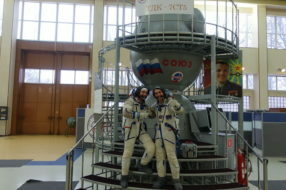 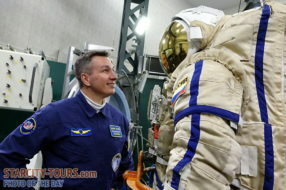 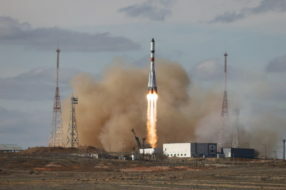 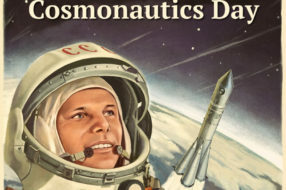 Specially for the group was developed a tour in GCTC including excursion on the technical premises with observation of all primary space simulators used for astronauts training such as – the biggest Centrifuge TsF-18, spacecraft Soyuz-TMA, orbital station Mir and Hydrolaboratory. 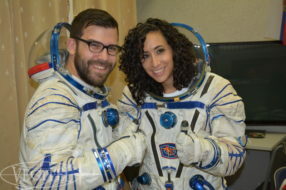 One of the most exciting moments was a meeting with real astronauts who have wished all the best to our young space investigators. 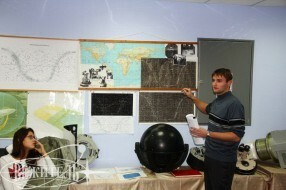 Also it was rather fascinating to have a look at the space post office and work of the press service of the Center. 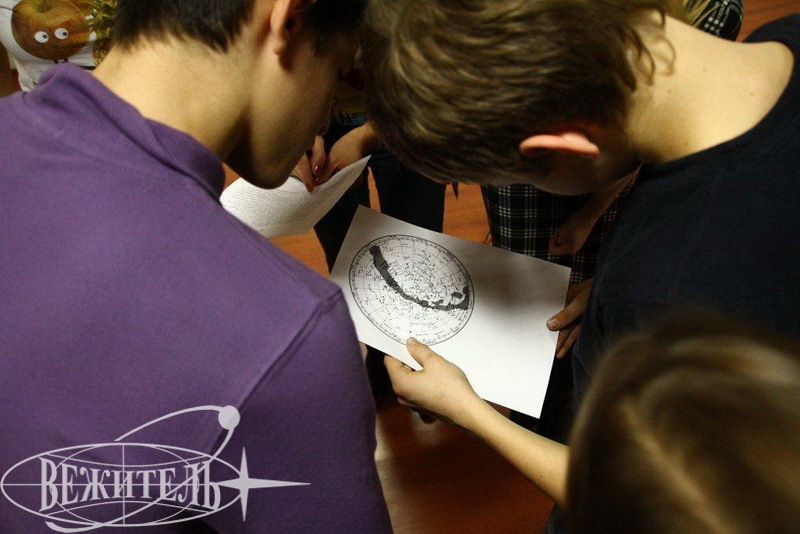 Magnificent impression was left after visiting the space Planetarium, designed for astro-navigational astronaut training where they learn stars and constellation of the sky. 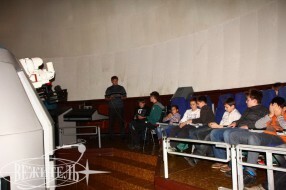 Our guests have had the opportunity to develop their own replica of the future space vehicle and even to test it during the work of our design bureau “Thinking, dreaming, designing and making the spacecraft «Earth-Moon-Mars»; to listen to the lecture “History of the achievements in space program” where children could also show their knowledge and take part in discussion as well as to play different space games with our team. In the end our guests had meeting with pilot-cosmonaut of Soviet Union Vaycheslav Zudov and got presents and awards from our team for active participation in games and competitions.